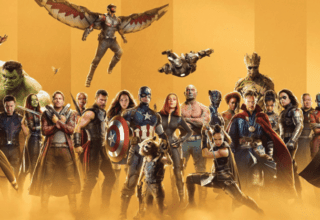 The entire X-World is getting an overhaul (check out UNCANNY X-MEN if you haven’t already!) so smaller titles like X-MEN RED are nearing an end. This week’s X-MEN RED #11 is the last issue in the series, which is both sad and exciting. It’s exciting because we finally get to see Jean’s stand-off against Nova, but it’s sad in that a series as amazing as X-MEN RED is ending. Still, at the end of the day, X-MEN RED was about acclimating Jean Grey to the modern environment. Writer Tom Taylor did just that which means it’s time for Jean head off and take on different adventures. 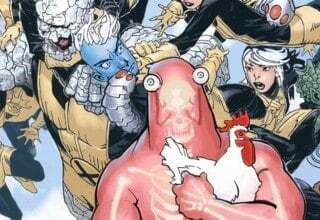 While X-MEN RED #11 could’ve done a few things better, it is, overall, a strong finish to a strong series. Penciler and colorist Roge Antonio and Rain Beredo offer a competent artistic display that accurately represents X-MEN RED’s failure to go above and beyond artistically. Still, art aside, X-MEN RED #11 is a worthwhile issue and a worthy conclusion to Jean’s first modern title. 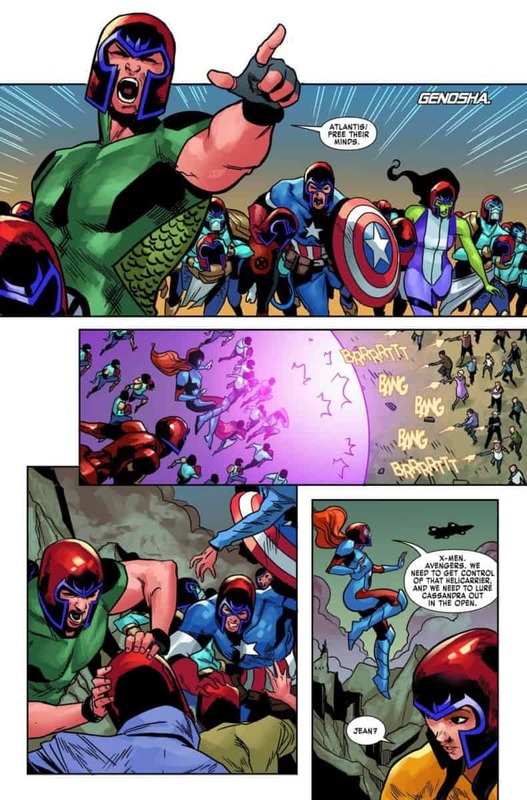 Jean and her team called on all of their superhero friends in X-MEN RED #10, including many of the Avengers. 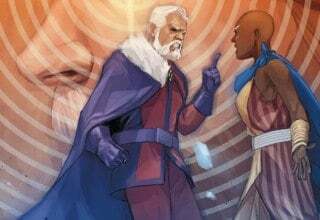 In X-MEN RED #11, those heroes put their powers into action to battle Cassandra Nova and her seemingly all-encompassing powers. 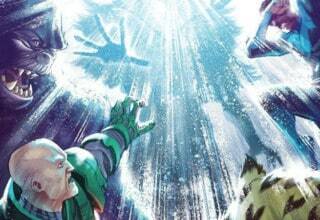 This issue breaks down each facet of the battle, from Gentle’s role in forcibly controlling a nuclear reactor to Gabby’s surprising role in taking down Nova. While X-MEN RED #11 does have a lot of action, it also has a lot of successful dialogue from Jean, which is partly why it proves to be a successful issue. X-MEN RED stars Jean Grey but the title is, most fundamentally, about a team of mutants. 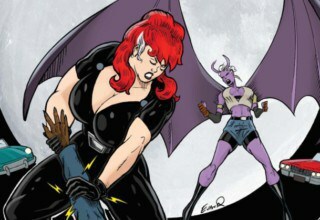 Jean has been the star attraction of the series, which is something most readers probably expected. 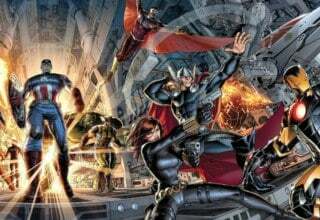 Marvel made this series for Jean so that the character could become acquainted with the modern world. However, X-MEN RED isn’t a solo series and X-MEN RED #11 emphasizes this. 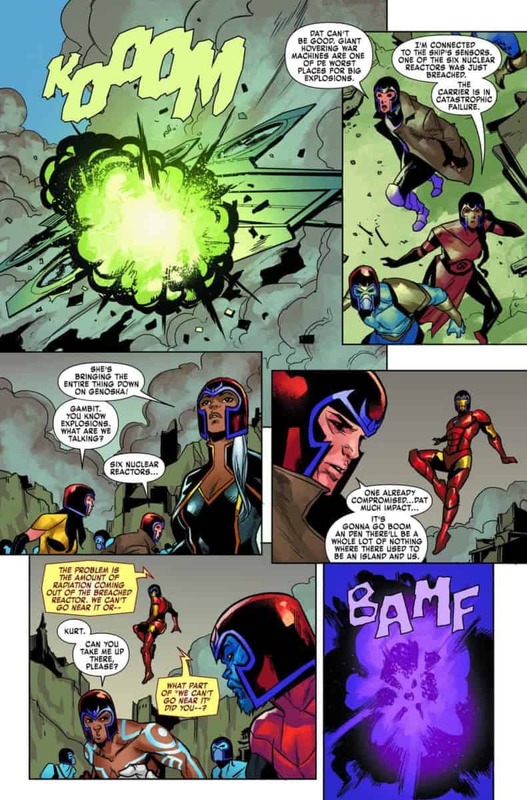 Jean loves turning down help when it’s offered, with her character frequently saying “this is my battle.” In X-MEN RED, it sometimes felt like Jean was battling Nova by herself, even though she had a team backing her. 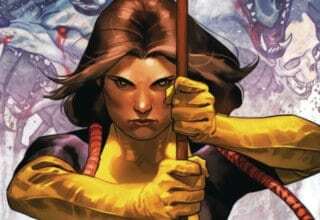 I assumed the series would end with this same theme, but Taylor completely inverted Jean’s solo-sentiment, giving X-23’s clone Gabby the real starring role. Nova strikes Jean down during the final battle, forcing Gabby to take the lead. In a very brave move, the young mutant (with Nightcrawler’s assistance) placed one of Nova’s own microchips inside the villainesses’ mind. While the idea was Jean’s, it was Gabby who did it. 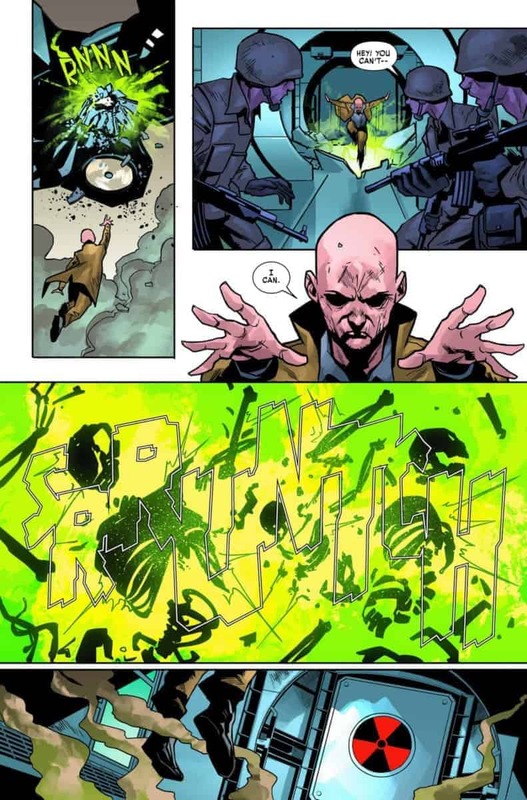 Cassandra Nova is evil…or, at least, she once was. Before this issue, I would’ve had absolutely no qualms about calling Nova a pure kind of evil. She was never a Magneto sort of “anti-hero.” She hated the world and wanted to see it go to hell. She was the kind of character who could not, under any circumstances, become good and yet, in X-MEN RED #11, that’s (apparently) what happens. 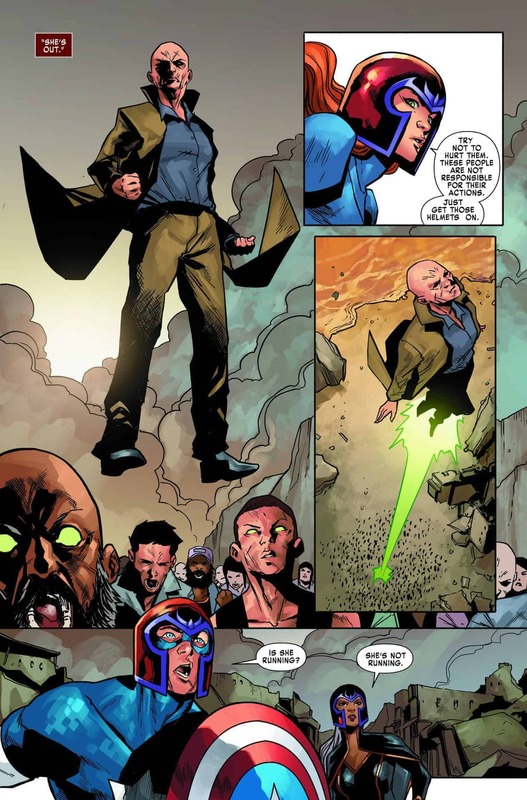 The Nova nanite sentinel that Gabby implanted inside Nova’s mind dramatically transformed the once-super-villain. Jean reveals that when Nova tried to rebuild herself, she forgot a few pieces, including her capacity for empathy. The nanite sentinel returned that to her. While only time will tell if she’s “really” changed, Jean is confident in Nova’s rehabilitation which means I’m confident. Maybe in a few years, she’ll be proudly wearing an X insignia and fighting alongside the other X-Men. I kind of doubt it, but we can hope. Roge Antonio leads the artistic charge in X-MEN RED #11 and does an okay job. Some of his panels are really beautiful and show a serious attention to detail, but others are a little disappointing. There are some moments where Antonio’s penchant for heavy stylization takes over, rendering the figures anatomically incorrect. Still, doing the interior art for any issue is a serious challenge, so there’s only so much I can say. Overall, Antonio does both good and “eh” work in this issue. 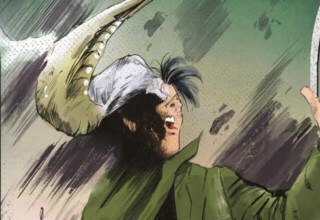 Colorist Rain Beredo has offered some consistency throughout the series, with him working on every issue of the title. His warm color palette is his signature and, for the most part, I think it works for the series. My biggest issue with his work is Jean’s hair color, which seems to change from series to series. Of course, that’s pretty nitpicky. If you’ve been following X-MEN RED since the beginning, you need this issue. 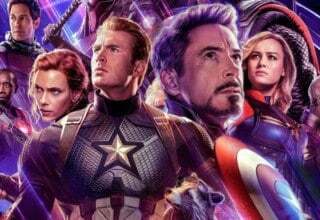 It offers that exciting, final battle that we’ve all been looking forward to since X-MEN RED #1 while still balancing that characteristic political element that defines this title. Jean’s final speech to the UN is a hopeful stride in the right direction that I think (almost) everyone can enjoy. Since Jean is such an important character in UNCANNY X-MEN, it’s hard to think of X-MEN RED #11 as the end of something. I like to think of X-MEN RED more as a needed bridge between other titles. It’s served its purpose and now it’s time to say goodbye. Jean Grey's time as leader of the Red team has come to an end, but that isn't necessarily a bad thing. X-MEN RED #11 is an explosive issue, with tons of excitement and character development. As an added positive, the surprise ending offers something for X-Men fans to look forward to in future titles.